Have you ever felt confused, scared and unsure of what's going to happen next? Okay, you're getting along just fine but when you face certain unexpected challenges, you're now unsure of what's going to happen and suddenly you think of the worst things that could happen. May we be protected from these thoughts and feelings and face the challenges one step a time. My father reminded me of these exact words 3 years ago when I was in the hospital, clueless about what was going to happen as it was 50-50 for both me and my late daughter. It really hit me when he advised me and I became instantly calmer and more positive. 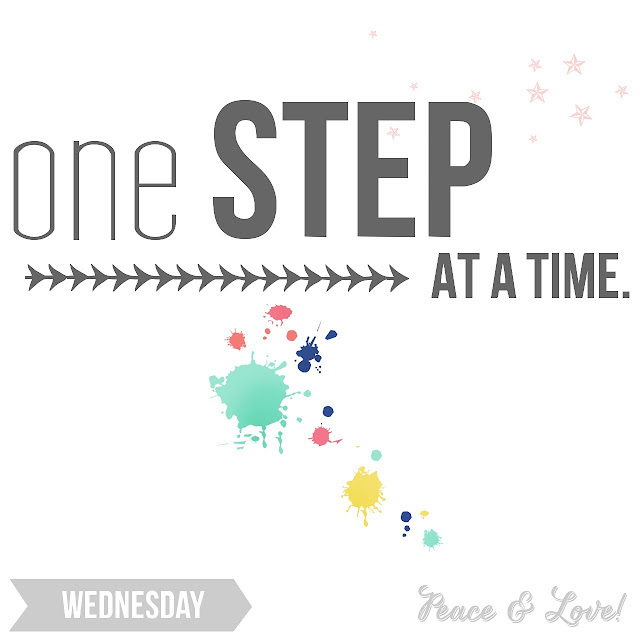 Today a good friend of mine also reminded me to take one step a time. It's good to have people reminding us as we can easily forget something so simple especially when we're going through something rough. I hope to change and be stronger one step at a time and with each step insyaAllah slowly be a better person too. Change doesn't happen overnight. To move forward we need to make that first step. Breathe, be grateful always, accept whatever that has been determined for us one step at a time, keep moving no matter how slow and never give up. There are no shortcuts. We just really need to focus on the first step ahead of us. May the Almighty Planner determine what's best for all of us and bring us closer to Him as He owns us and we will all return to Him.